Nominated for fifteen Academy Awards, charismatic costumer Irene Sharaff once declared "you can acquire chic and elegance, but style itself is a a rare thing”. During her long and distinguished career, Sharaff became known as much for her meticulous attention to detail and her sense of colour as for her versatility in adapting to many genres and periods. For this, she drew inspiration from a wide variety of sources, which included impressionist and post-impressionist painting. Irene Sharaff received her training from the New York School of Fine and Applied Arts, the Arts Student League and at La Grande Chaumiere in Paris. Her first work in the world of fashion was as illustrator for Vogue and Harper's Bazaar. She then served a two-year apprenticeship as assistant designer under Aline Bernstein at the Civic Repertory Theatre Company. Her first own creations appeared on Broadway in 1932. 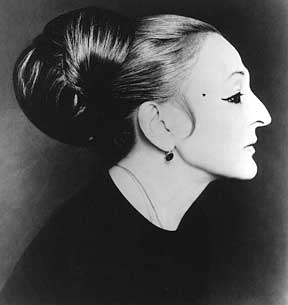 Her versatility also encompassed designing for the American Ballet Theater and the New York City Ballet. Her private time was spent sculpting and painting. Sharaff eventually attracted the attention of Hollywood producers. However, she would only spend a total of four years under contract: at MGM, for the Arthur Freed unit, between 1943 and 1945; and at RKO from 1946 to 1948. The rest of her time in Hollywood was strictly free-lance. At MGM, her use of vibrant colours (she was fond of saying, that she saw everything "in blocks of colour"), became ideally suited to the new Technicolor process. An understanding of movement in the design of dresses also became a key element in her work on musicals. 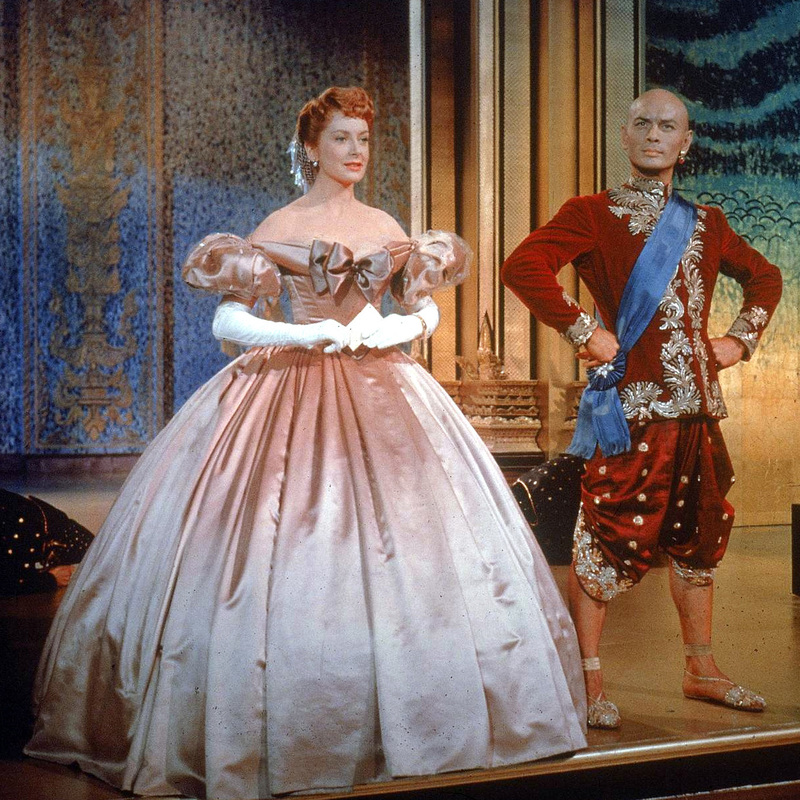 Sharaff did her best designs in the 1950's on Meet Me in St. Louis (1944), An American in Paris (1951), Guys and Dolls (1955) and The King and I (1956). For the latter, she created history twice: first, by convincing Yul Brynner to shave his head; secondly, for her prodigious use of Thai silk, which created such a stir in the world of high fashion that the product ended up becoming Thailand's number one export. 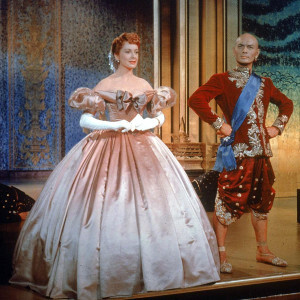 From the late 1950's, Sharaff often alternated work on the same production for both Broadway and Hollywood, notably West Side Story , Flower Drum Song and Funny Girl . 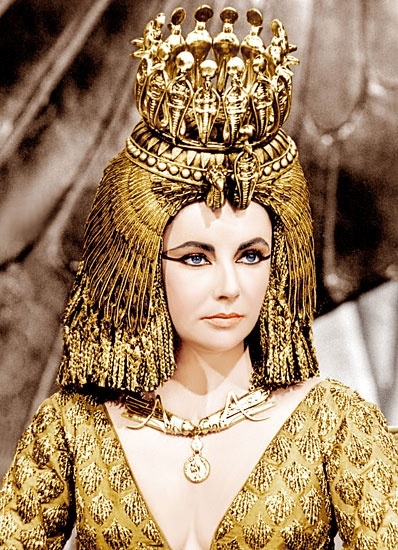 She became a favorite costumer of Elizabeth Taylor, designing in starkly contrasting styles the bohemian/swinging sixties outfits she wore in The Sandpiper (1965), her flowing, ornate renaissance dress in The Taming of the Shrew (1967) and, in collaboration with Renié, her opulent costumes for Cleopatra(1963). Personal Quotes: Yes, you may enter Miss Dunaway's dressing room, but first you must throw a raw steak in - to divert her attention. The costumes alone make Cleopatra a must see. At the time, it was the most expensive movie ever made. Elizabeth Taylor wardrobe creates such power and presence.